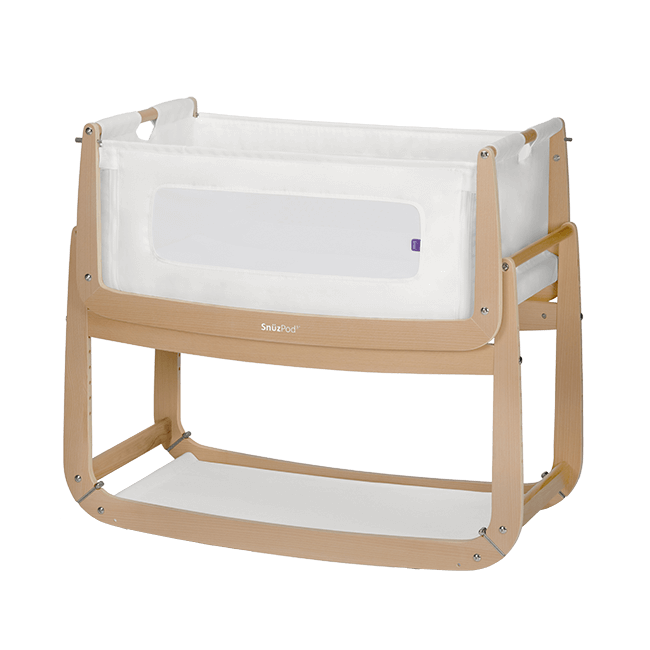 No ordinary bassinet , the SnüzPod3 allows you and your baby to sleep safely, feed easily and be even closer. 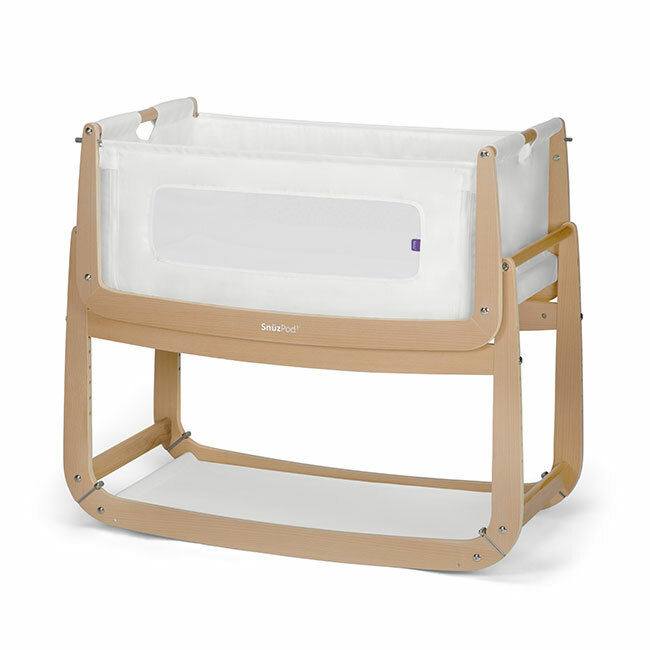 It boasts a stunning new look and brand new features, making it the perfect sleep solution from newborn to 6 months. The SnüzPod3 includes a reflux incline feature, helping to soothe baby and to reduce reflux symptoms. SnüzPod3 is beautifully made using natural beech wood, without the use of MDF or veneer. 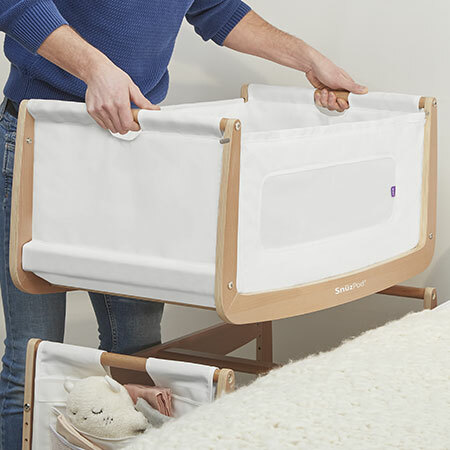 With 9 height settings (up to 63cm), SnuzPod attaches perfectly to both divan and framed beds using adjustable straps provided. A separate reflux leg slots in place at one end of the SnüzPod, providing a gentle elevation to help soothe and comfort your baby.